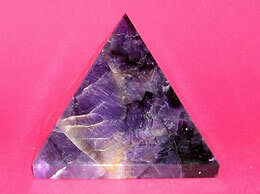 Amethyst crystal is unique among all crystals be its popularity, or its affordability. Mother Nature has been generous with the wealth of easy availability of amethyst which makes it affordable to choose it for your office, home, garden and even your car. 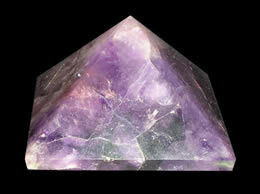 The Ancient Egyptians used the amethyst to guard against guilty and fearful feelings. It has been worn as protection from self-deception, as well as a protection against witchcraft. The Greeks believed amethyst gems could prevent intoxication, while medieval European soldiers carried amethyst as protection in battle in the belief that amethysts heal people and keep them cool-headed. 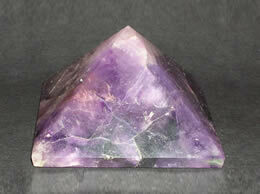 Amethyst pyramid has been used to open the spiritual and psychic centers, making it one of the power stones. It is supposed to be a stone for Spiritual pursuit. Amethyst gets its deeper purple color due to the presence of iron and silicon structure. 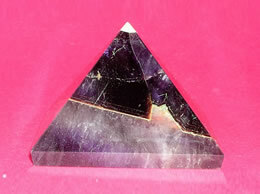 For wholesale and bulk amethyst pyramid inquiries do contact us.